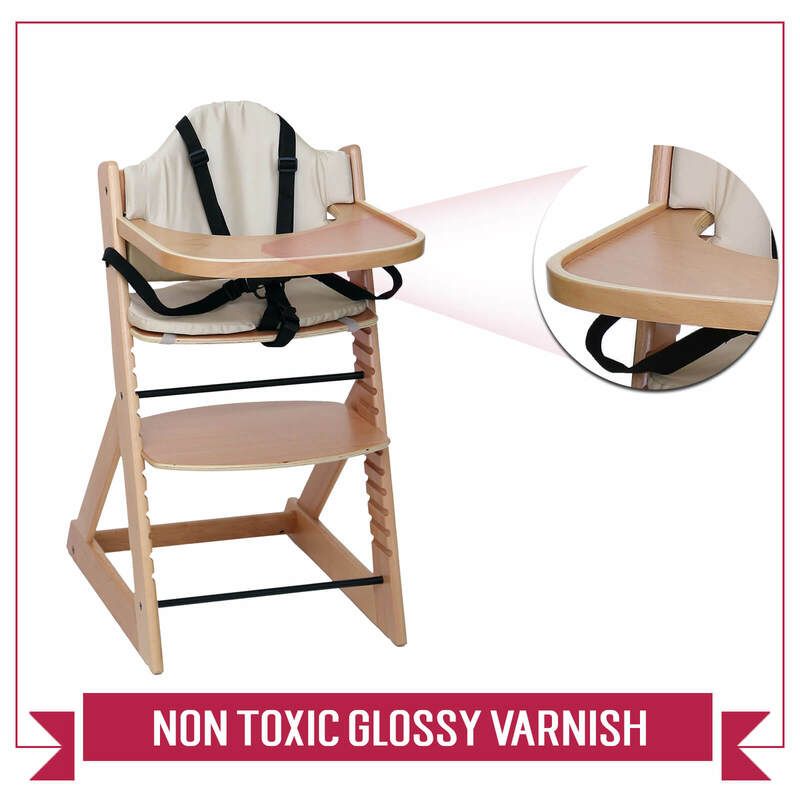 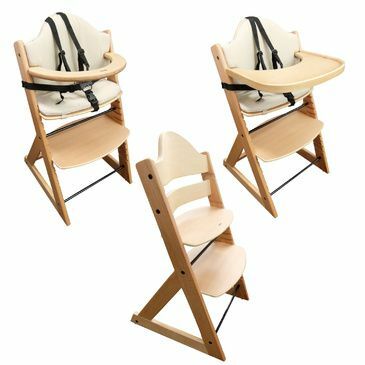 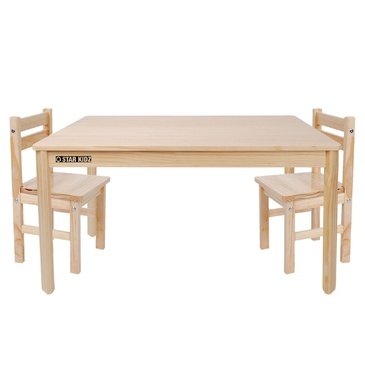 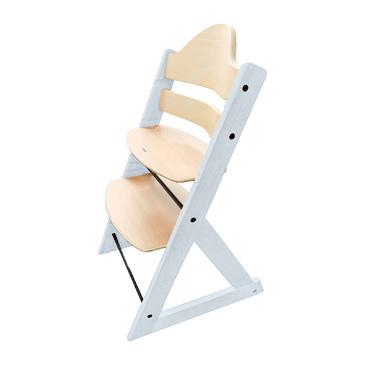 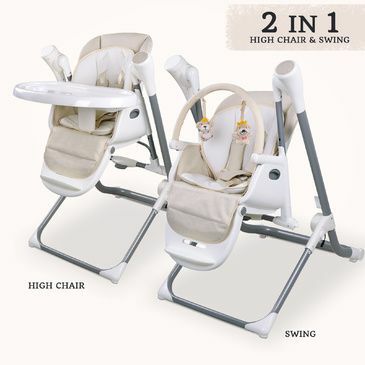 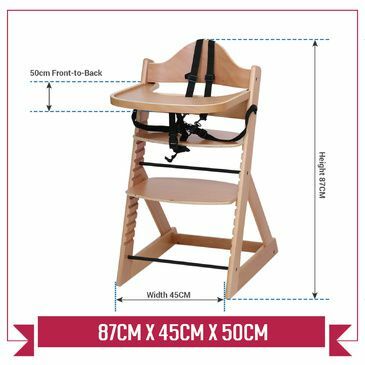 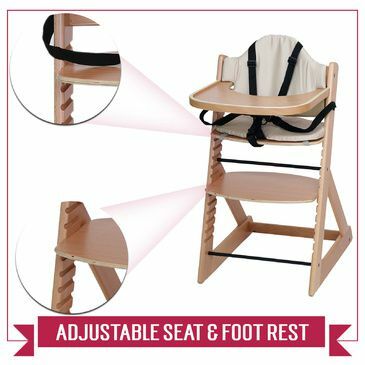 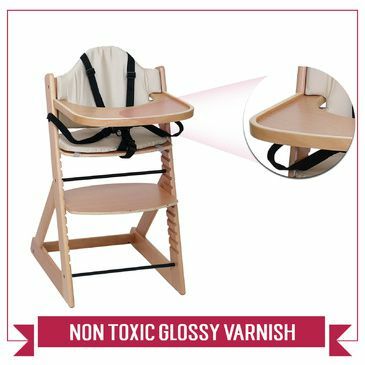 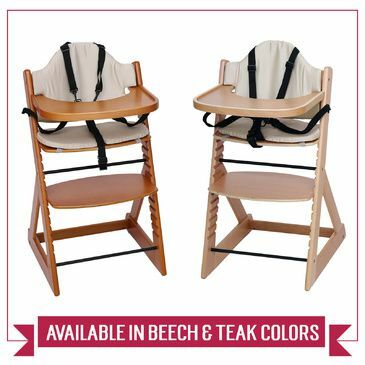 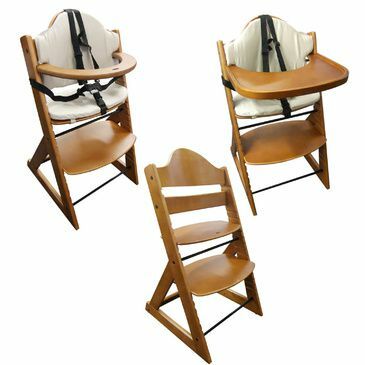 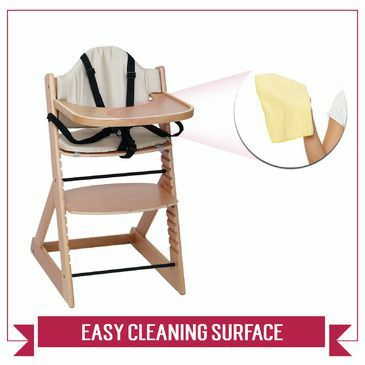 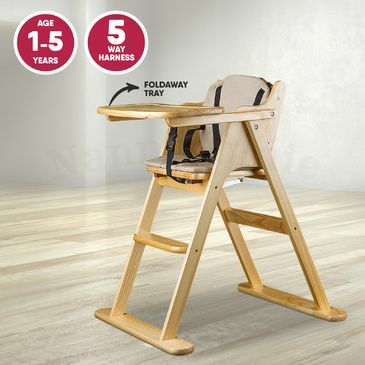 Superior 3-in-1 Wooden Baby Highchair. 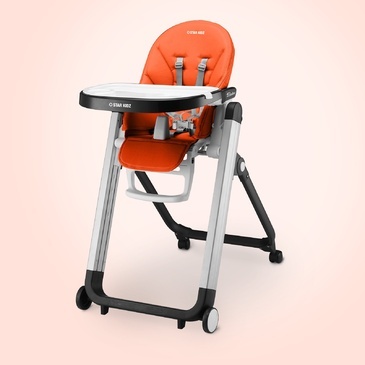 Tray and Bar features easily adjustable height for the seat and foot-rest so the chair grows with your child. 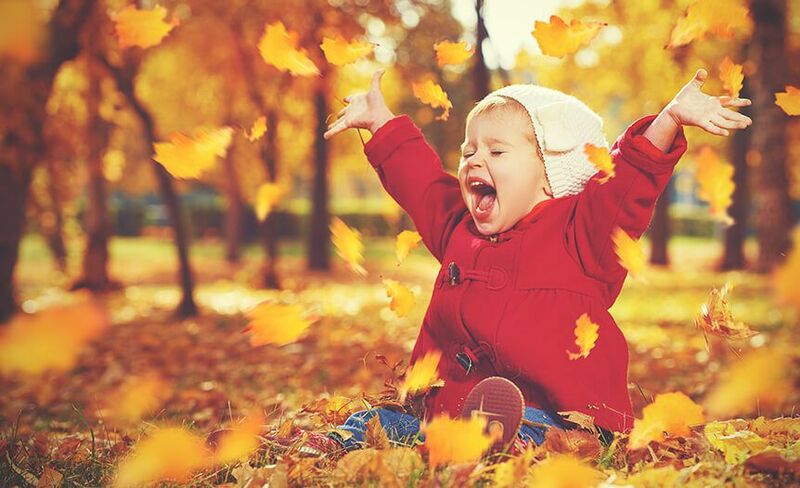 The attachments easily slide in and locks into place to keep your child feeling secure. 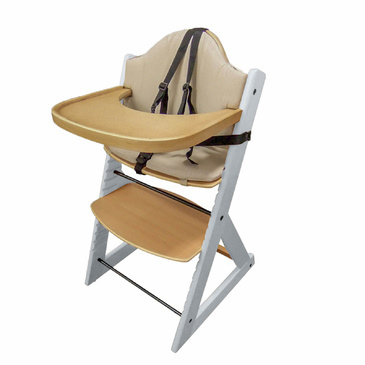 As they grow the highchair can be used without the tray and bar attachments as a regular chair, extending the usefulness of your highchair by years. 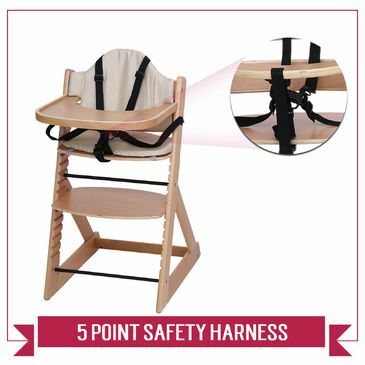 Cushion and 5-point harness are included. 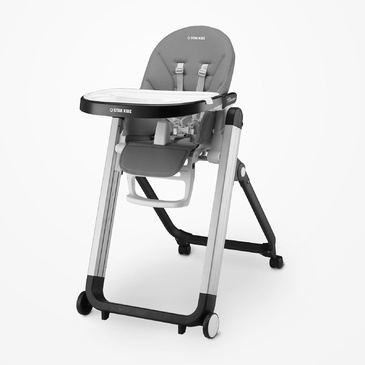 The easily removable tray allows for feeding time wherever the chair is around the home. 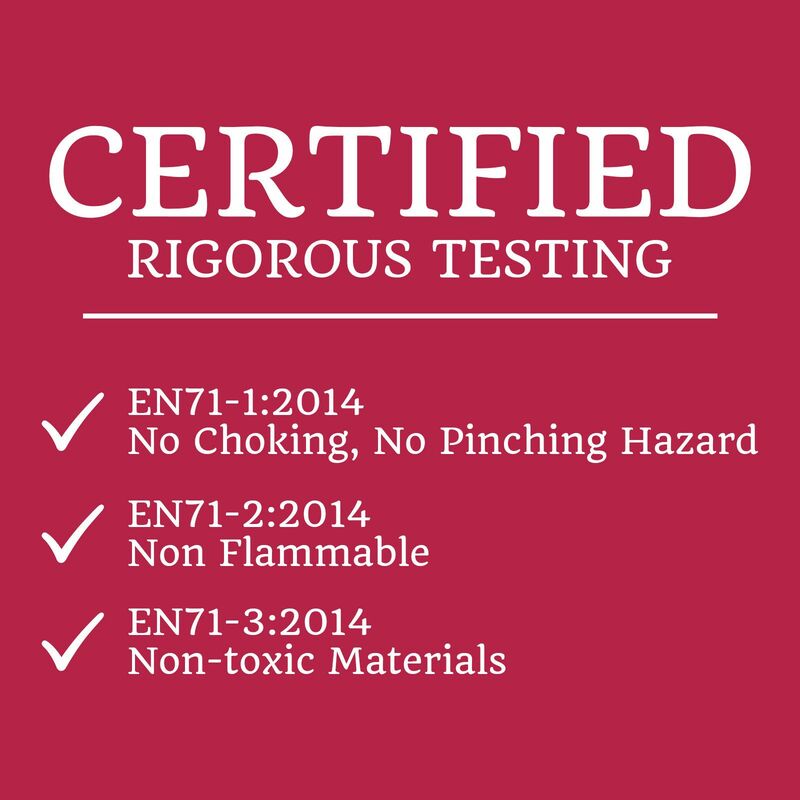 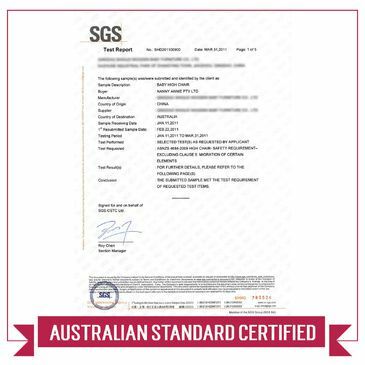 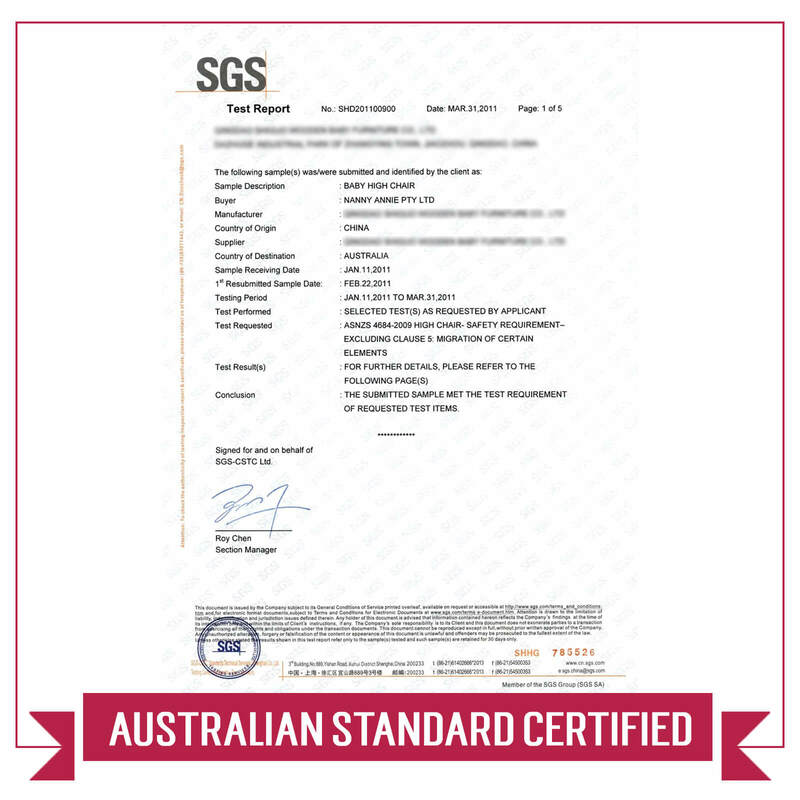 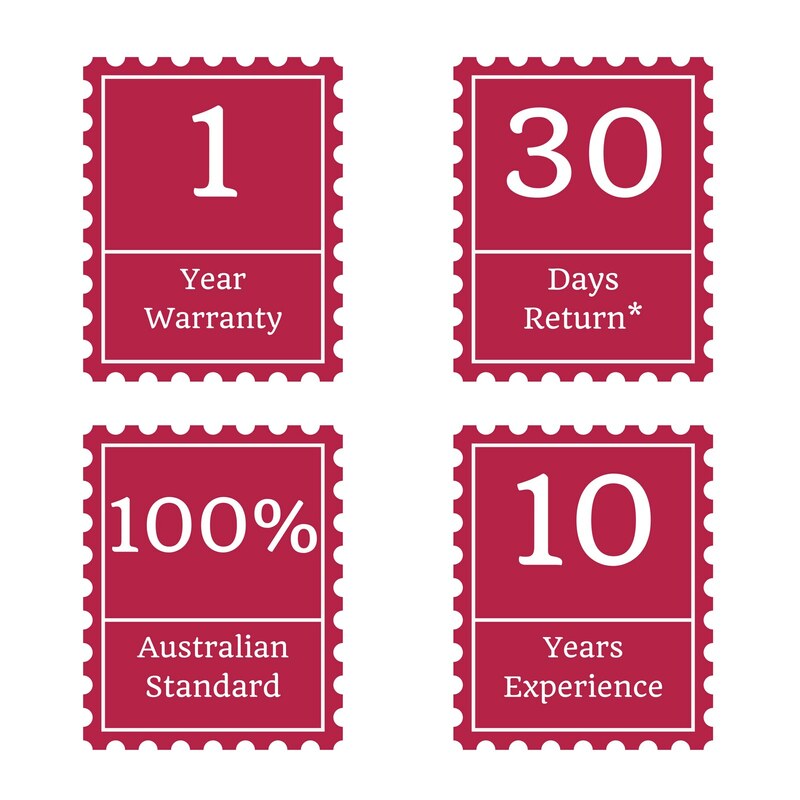 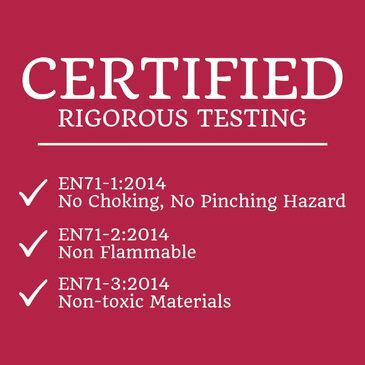 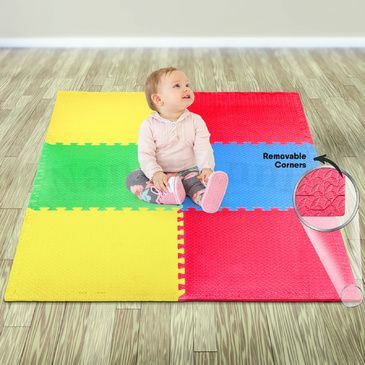 The durable solid construction provides perfect support for your growing child and is easy to wipe clean. 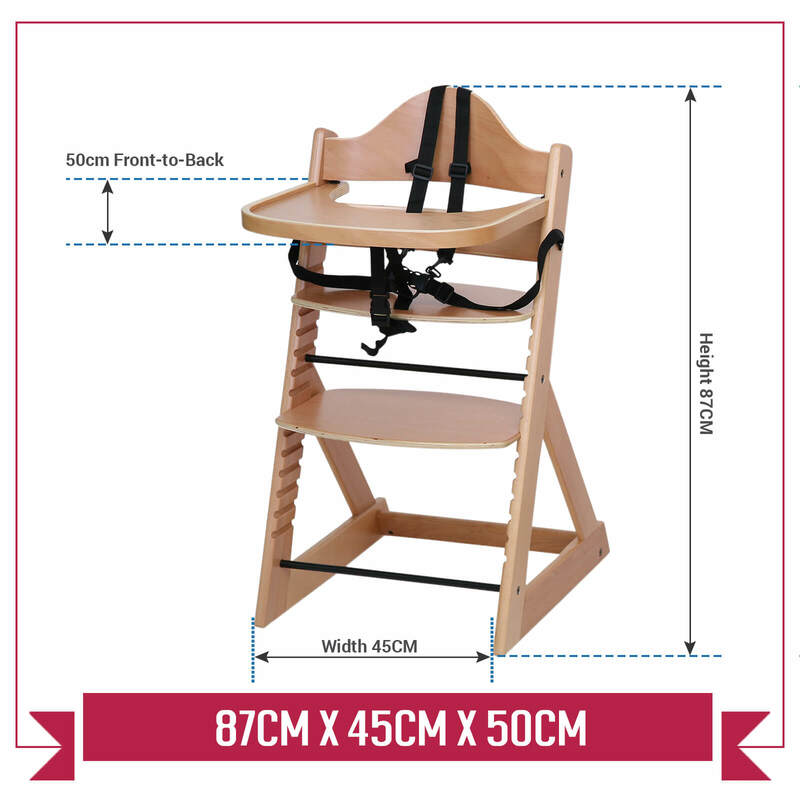 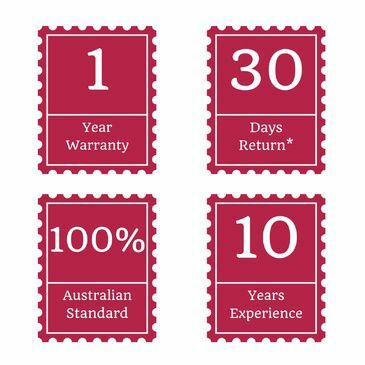 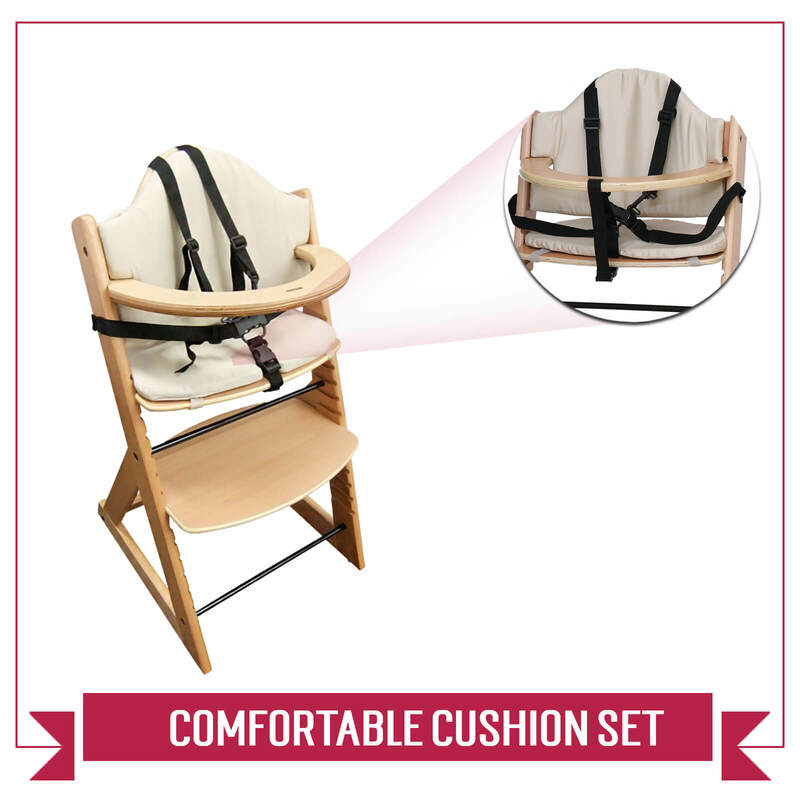 Suitable for children who are able to sit unaided (approx 6-9months+). 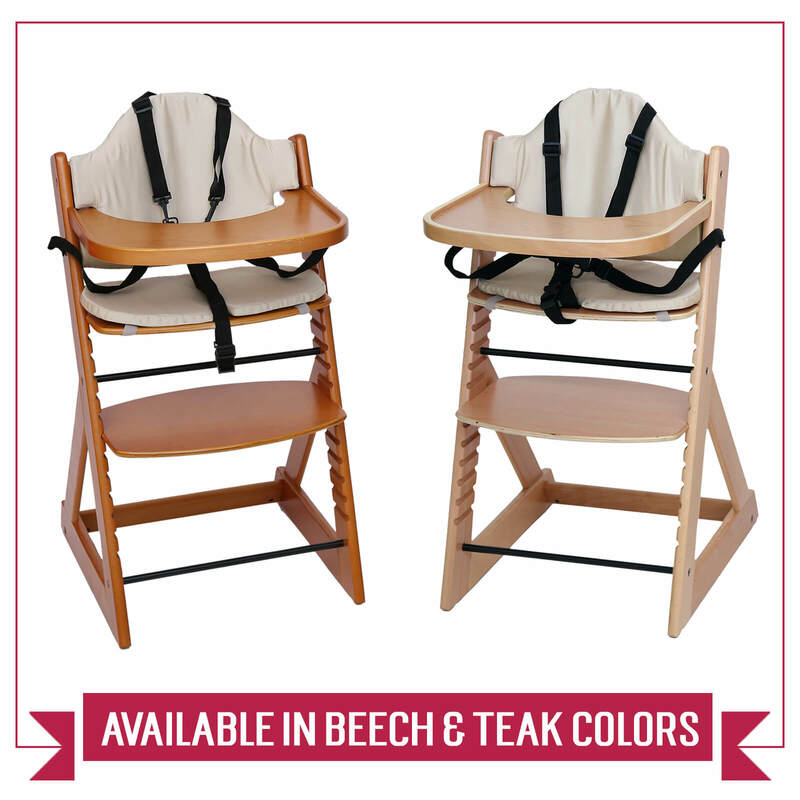 Made from beechwood with a non-toxic beech varnish. 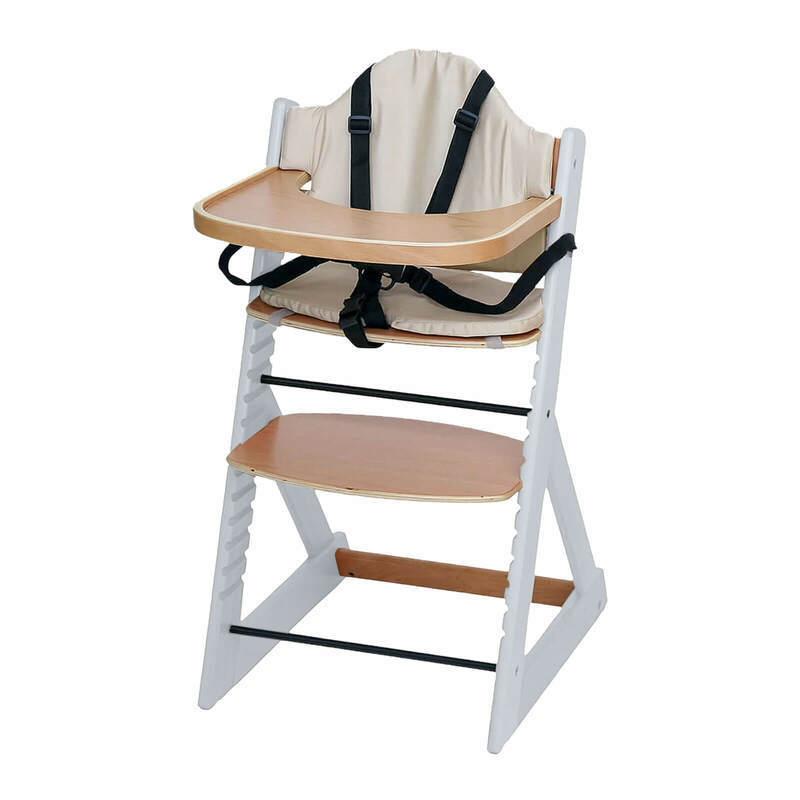 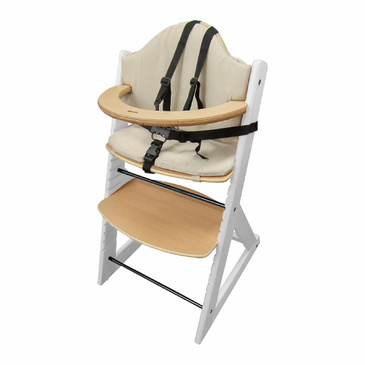 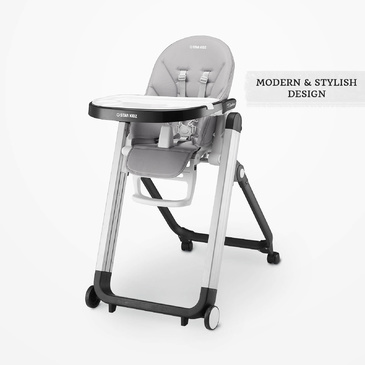 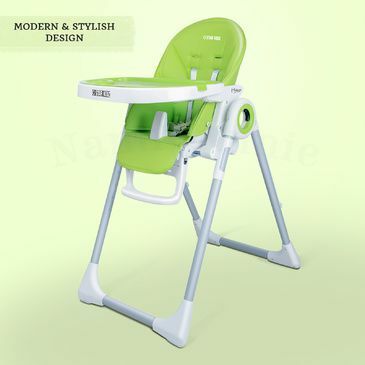 The highchair with tray measures approximately 87cm tall, 45cm wide, 50cm front-to-back, 21cm backrest to tray. Seat and footrest height adjustable.